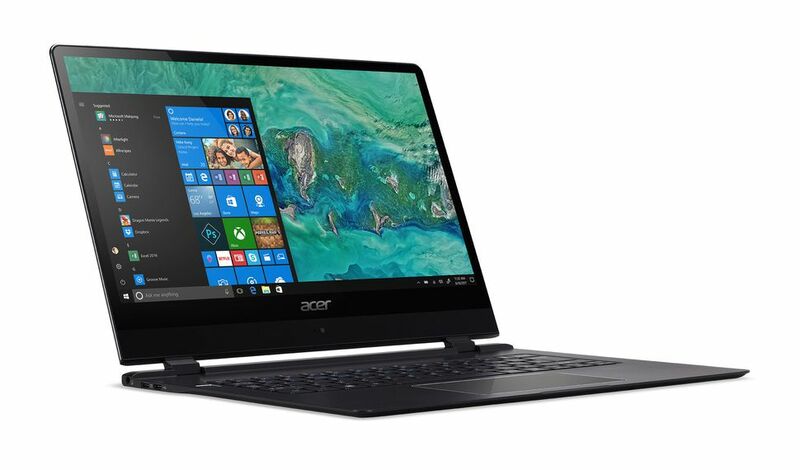 Every year is another year that any tech company would claim that they have the world’s thinnest or lightest tech gadget, and this time it goes to Acer, which they have announced the redesigned Swift 7 as the world’s thinnest (and possibly the lightest) laptop, measuring at 8.98mm. The current generation Swift 7 measures at 13.3mm, which is already incredibly thin for a 13.3-inch device, so that further reduction in thickness sure is impressive. If not the thinnest laptop in CES 2018, the Swift 7 (SF714-51) is sure to capture some attention at the show floor, though we won’t be seeing an Intel Kaby Lake-R processor onboard, the laptop is reported to have 4G LTE connectivity, a larger 14-inch Corning Gorilla Glass touch display, 256GB of SSD storage, 8GB LPDDR3 RAM, and a fingerprint sensor for Windows Hello. However, what’s not pretty here would be the expected retail price of the Swift 7, as the laptop will go on sale in the US at April starting at $1699 (RM6,791), which costs RM1800 more than the current outgoing model with very minimal update in specs, but let’s hope when Acer makes the new Swift 7 available here, it would at least comes with an 8th generation Intel processor.